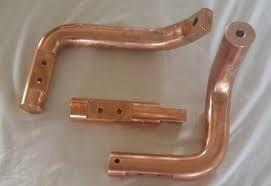 PARENTNashik is expert in making copper & aluminium 3D busbar ..
Spot welding electrodes, tips are made in Class-2 copper alloy.. 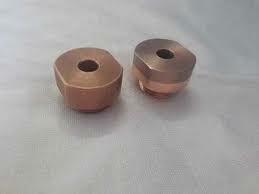 Specialist in elkonite electrodes, sleeve, location pins, nut & stud welding electrodes for projection welding .. Expert in making 3D busbar in complex shapes, copper & aluminum. Manufacturer, Supplier, Exporter : Spares For Spot Welding Gun, Robotic Welding, Portable Welders, Projection & Seam Welders, Machines.